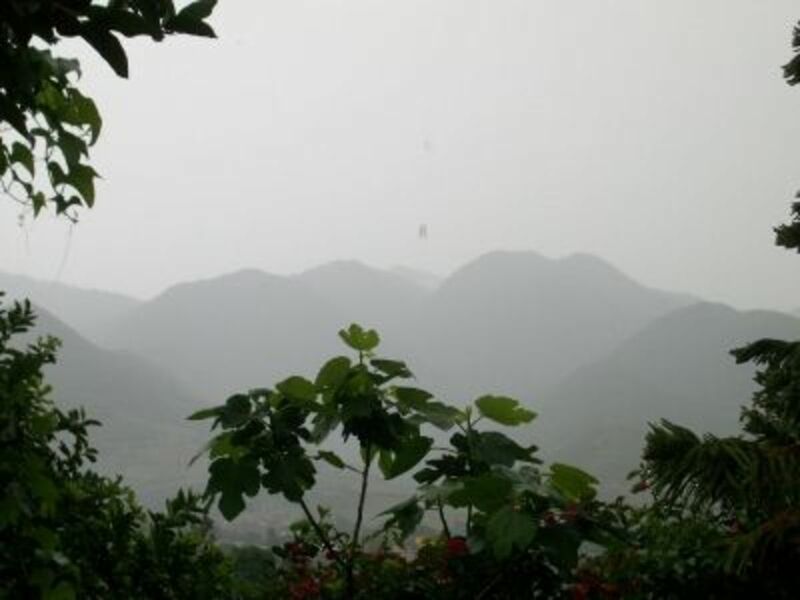 Rain can be nourishing, soothing, and its soft sounds make for terrific sleeping. But for some people, rain represents sadness and is a metaphor for life's hardships. If you're one of those rain complainers, perhaps you need a little bit of perspective. Whereas on Earth we have rain made of water—okay, sometimes dirty polluted water—other planets have far more bizarre weather. Venus' rain bathes the planet in showers of sulfuric acid, a highly corrosive mineral acid. (Who's complaining now?) And on the largest moon of Saturn, called Titan, there are rain showers of methane, which is highly flammable and explosive. Scientists believe that on Saturn and Neptune large hailstones of methane fall and are eventually converted into diamonds. These diamond rainstorms may seem luxurious, but imagine getting pelted by a large diamond raindrops. Ouch. Still complaining about rain on Earth? On HD 189733b, a planet that is 63 light years from our own solar system, it rains glass sideways at a mind bending speed of almost 4,500 miles per hour. So next time it rains too much here on Earth, just remember it's all about perspective. You could have it way worse. 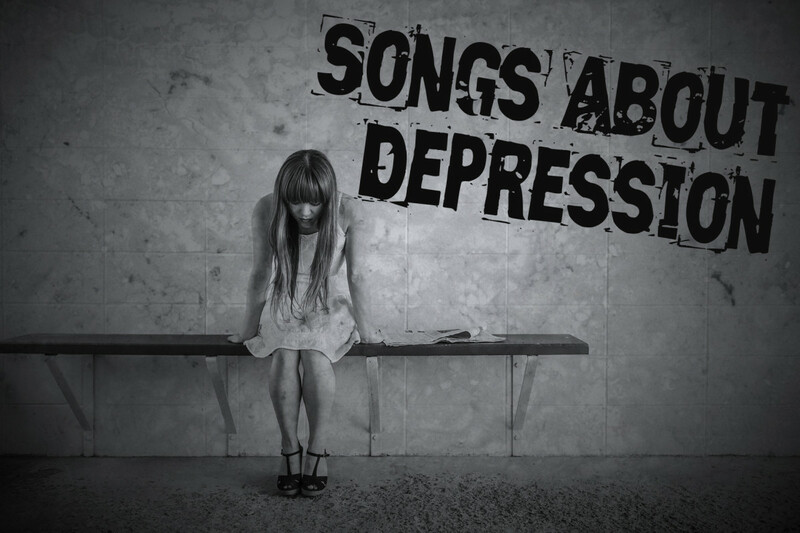 Now that you appreciate the rain more, why not create a custom playlist of songs on the topic? Celebrate the symbolism of rain and all the emotions that it evokes, from sadness to triumph. We've got a long list of pop, rock and country songs to choose from. want to pull up the covers and sleep in. 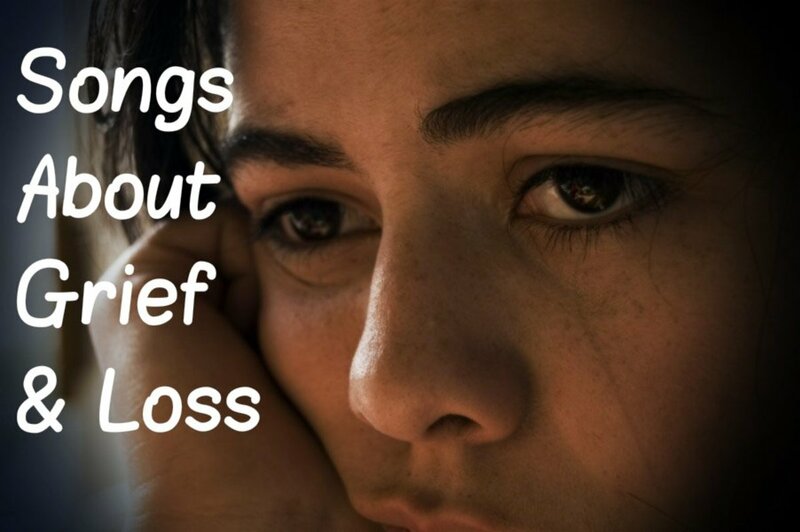 think of my failures, lost relationships, and everything that is wrong with the world. I'm such a Debbie/Donnie Downer. look for my umbrella. Call me practical. He reminds his lover of all the sacrifices he's making to be with her and says a break up would require heavy medication. Okay, does this sound healthy to you? The narrator in this 1984 song sees bad times resurfacing and seeks to face it with her partner together as a couple, head-on. Rather than keeping secrets from one another, she wants to talk honestly, deeply and openly. A former girlfriend got married today, and the guy in this 2003 song is an emotional wreck. He's driving around town and it seems like the only songs that are on the radio are songs about rain. It just adds to his regret about letting her go. When it rains, it pours. She's all things to behold. Now that is how to love a woman. With her powerhouse vocals and semi-autobiographical lyrics, Adele recounts love gone wrong in this 2011 hit. 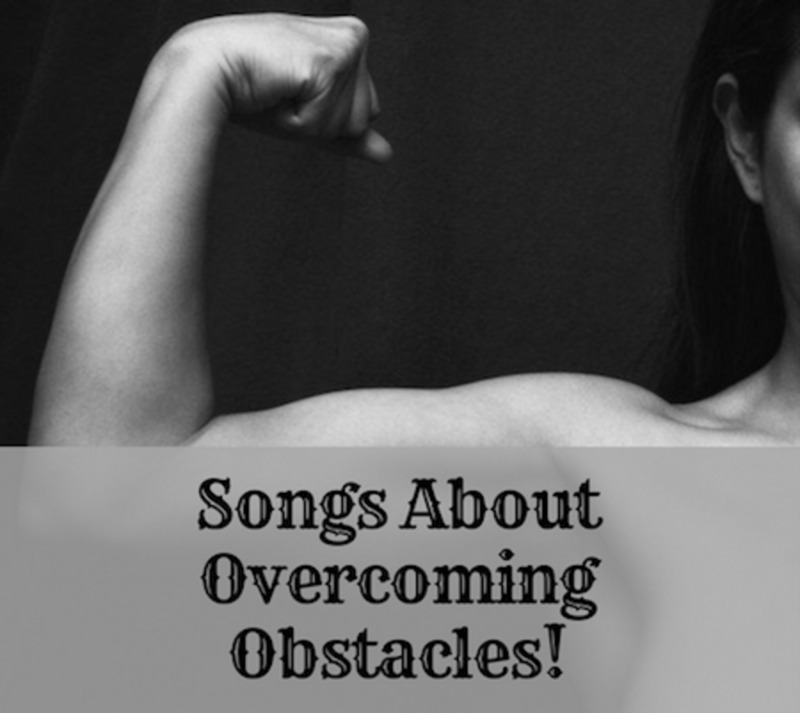 The woman in the song describes being at a weak point in her life and falling in love with someone she thought was both strong and good for her. Unfortunately, he played manipulative games and offered empty promises, bringing her tears and pain. She gained control and distance from him ("set fire to the rain") even though it seared her soul. The lady in this 1995 song must be a real joy to know because even she admits that she's only happy when it rains, when it's complicated, and when there's bad news. Sad news makes her feel good, as do sad songs, and she smiles only in the dark. Yep, she's a complainer alright, a real Debbie Downer, if you like that sort of thing. This gal is a real friend magnet who probably crashes funerals for fun. The song was intended as a parody of the anxious, self-absorbed songs of the 1990s. The genre tended to dwell on one's internal psychological conflicts. In that case, the band nailed it. The couple in this 1992 power ballad is approaching the end of their relationship. The narrator can feel that there's been a change in the way his girlfriend feels about him, and he's struggling to hold onto her. Despite his pleas, he also tells himself that "nothin' lasts forever, even cold November rain." This sentimental 1980 song is a survivor's anthem. It's about a man who is proud to have made it through tough times with his dignity and positive view of himself and the world still intact. When he was going through the worst period of his life, friends were scarce. However, he found the strength to weather the storm. He faced his fears and became a role model for others going through difficult circumstances. She took off to Heaven and she did what she had to do. So that each and every woman could find her perfect guy. What's ironic, however, is that the song later became a gay anthem. In this 2002 song, Mariah Carey describes the desperate and empty feeling of being stranded alone in the rain, and gives others the encouragement they need to make it through. She encourages them to stand on their own, reach for the strength that they may not even realize is there, and rely on their faith. Taking one step at a time, realize that you may stumble but eventually you can stand tall and overcome your challenges. And the weight of the news, It nearly broke my back. Forever changed by the loss of his friend and his carefree youth, he still cries. You've heard the saying, "When it rains, it pours." In this 2000 country song, the narrator doesn't fight it but rather welcomes the challenge because tomorrow is another day. 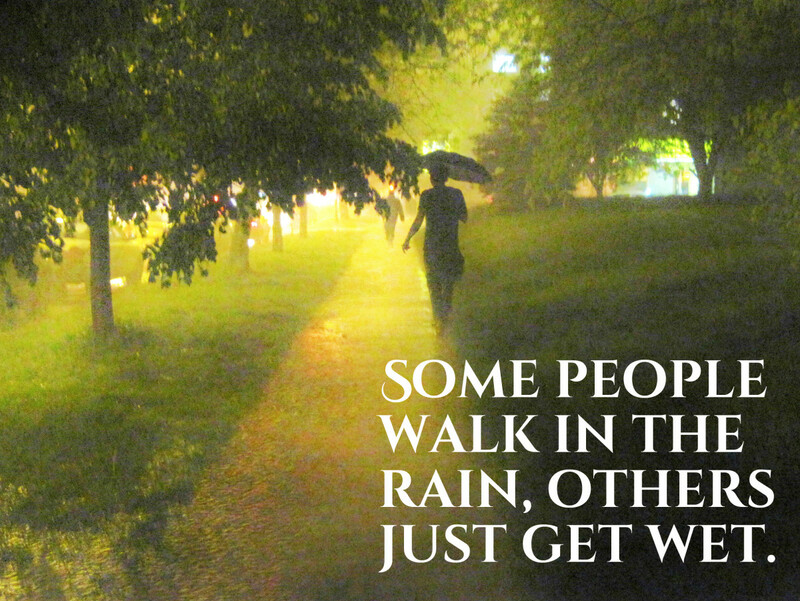 No one loves a rainy night like the guy in this 1980 classic. He gets all giddy hearing the thunder, watching the lightning and both feeling and tasting the rain. He says it puts a song in his heart. What he's probably ignoring is the danger of being out in a thunderstorm, but who am I to diss his bliss? A tender, rain-soaked memory from a woman's teenage years is the focus of this 2005 country song. The sweet memory involved her boyfriend and laying out under the stars when a sudden downpour occurred. Years later, she's back in her hometown and the memory comes rushing back to her. Although they've both moved on, she says not even the Georgia rain can wash away the way she loves him to this day. The guy in this 2008 song is a real ray of sunshine. He explains that "the sun may brighten your day, but if I had my way I'd take the rain" because if you "start out depressed then everything comes as a pleasant surprise." He doesn't mind being lonely and crying, and prefers not to even try. It sounds like someone needs to ask his doctor to double his dose of Prozac. 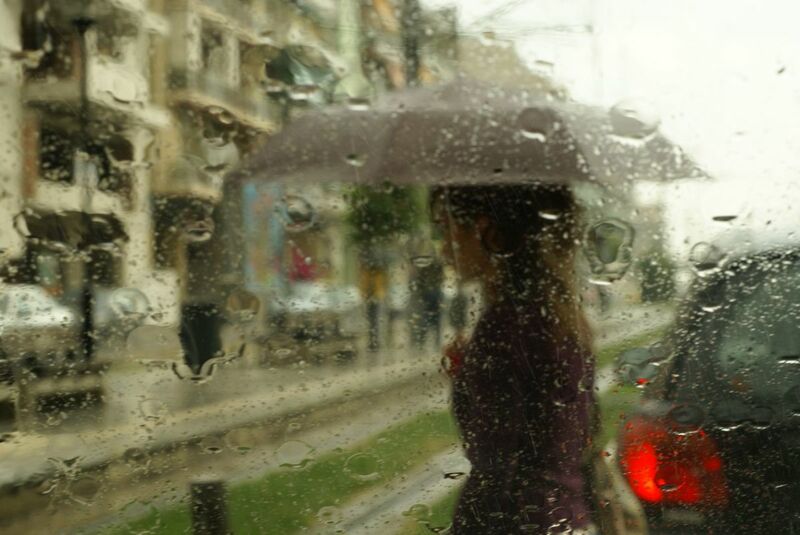 What is it about rain that gets people feeling so depressed? Rain is nourishing for the earth and it's great sleeping weather. However, the woman in this 1971 song doesn't see it that way. She's bored, lonely, and has feelings of hopelessness. Explaining that "rainy days and Mondays always get me down," she seeks comfort from the one who loves her. This song's lyrics refer to changing times and address an ex-lover and friend the narrator cares for deeply. But people have been trying to figure out the meaning behind the 1984 chart-topper for years. Some say it's about the coming end of the world, as The Purple One was very interested in the apocalypse. Others believe that purple rain is a metaphor for spiritual euphoria. The song is one of Rolling Stone magazine's 500 Greatest Songs of All Time and The Rock and Roll Hall of Fame's 500 Songs That Shaped Rock and Roll. Of a prayer nailed to a door. When we both let it go. And love wash our souls. The rain serves as a painful reminder to the heartbroken man in this 1962 song that his sweetheart has left him. He realizes that he is a fool to let her get away and now all he can do is weep about it. Better luck next time, fella! The song is unusual in that it features a musical instrument called a celesta, a large wooden music box similar to a piano. So many artists have offered up their version of this 1971 song, originally released by Creedence Clearwater Revival. However, Rod Stewart's 2006 version represents a particularly noteworthy effort. The song is about the calm before the storm. The narrator predicts this will result in a sun shower, an uncommon weather phenomenon in which the sun is shining but it's raining. This is a metaphor for being sad even though everything objectively looks like it's going your way. Ever have that happen to you? 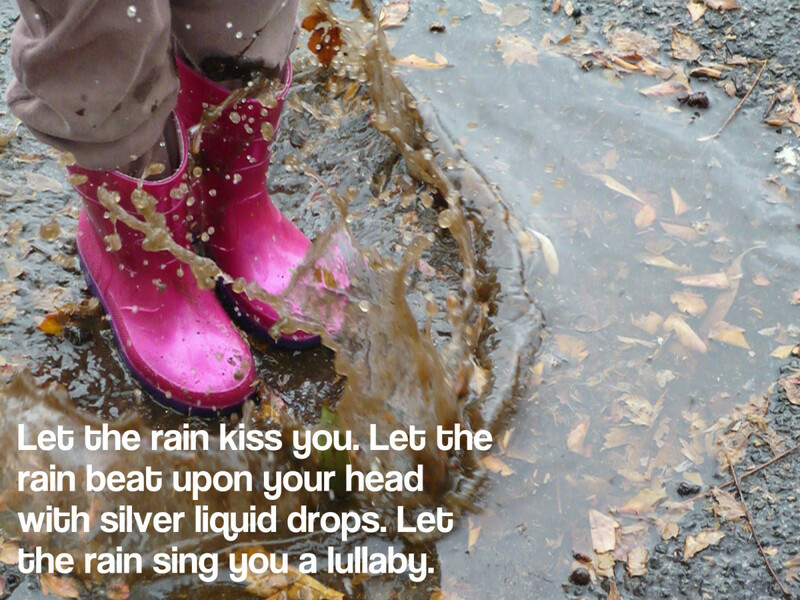 Got a song suggestion for our Rain Song List? Leave us a comment below in the Comments Section. Any reason Jose Feliciano's "Rain" was left off the list? Thanks for the song suggestion. I've added it at #115. 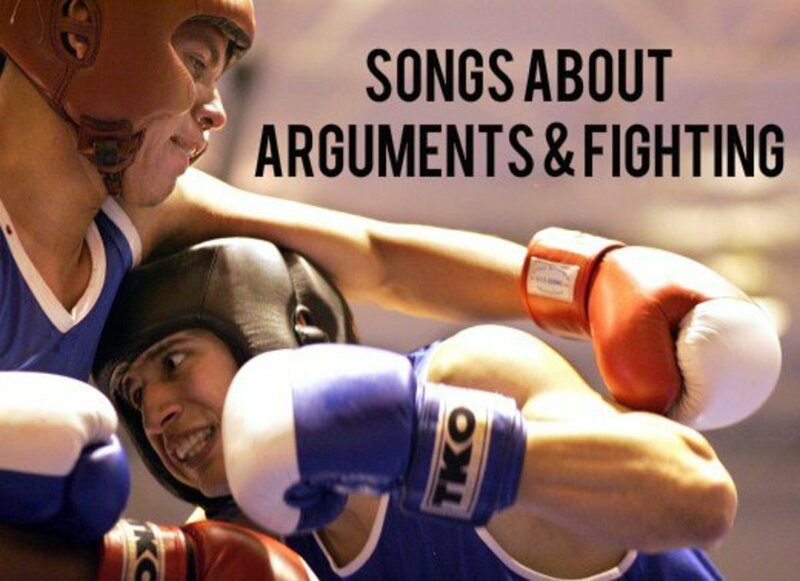 I depend on great readers like you to suggest any songs I may have missed! Who recorded the song Rain-o? When were the songs "Raining on Prom Night" by Cindy Bullins and "Gee I'm Glad It's Raining" by Jim Varney released? Have you heard of "Dancing For Rain" by the guys with the song "Wild, Wild West"? "Wild, Wild West" (1988) was sung by a group called The Escape Club. They have a song on the same album as "Wild, Wild West" that is called "Only the Rain" (1988). I think that's the one you're referring to: https://www.youtube.com/watch?v=MiQnNDnWCTU. Tyler Warren - Thank you for the suggestion! I've added it at #135. Have a terrific week. Hi, great list! Rain is simply awesome...I would like to suggest "Red Rain" by Peter Gabriel. Chet - I added it for you. Where is the Rain Song by Zeppelin? Alan Hitchcox - Thank you for your suggestions. I have added these (except for the fourth song which was already on there at #94). I appreciate you! Have a happy holiday season. Alan Hitchcox - I've got "Tell It to the Rain" by The Four Seasons. I assume that's the one you're talking about? I added it! Thank you for your contributions. If you like 1960s music, I have a playlist of love songs from the 1960s. Go to my profile then look at the articles down the list. It shouldn't be too far down. I have them for 1950s, 1960s, and 1970s so far. Thanks again for your contributions. And how could I forget Rain, by Frankie Valli & the Four Seasons? Summer Rain, by Johnny Rivers. Great song! Rhapsody in the Rain, by Lou Christi, another goodie. Skai Walker - Would it perhaps be "In the Rain" by Xcape (1997), an R&B song? It's a cover song of the popular 1971 song by The Dramatics which does have thunder in the background. hi. I have been looking for a song that a DJ used to play for me in a club in the late 90's. It was a female R&B singer, (I always searched Mary J Blige but now don't think it's her) The song was about "in the rain..." and had a storm playing in the background of this ballad. The vinyl was a 12" with an all white jacket. It was a limited edition, DJ version, special release or something like that. I never heard it or saw it again outside of that club. If you have any info, please help, thanks. Shannon - Excellent recommendations! Thanks again! I have added them both. We have the same dreary weather, lots of rain with tornadoes the last week. Stay safe in the rain! Are "Every Storm Runs Out of Rain" by Gary Allen and "Never Liked the Rain" by Clint Black on your list already? I didn't see them, but I could have missed them. Jeff - Thanks for the song suggestions. Have a great weekend. Dennis, I added this as #121 to the playlist. Thank you and have a great weekend. For those of us who enjoy soul classics you might want to consider, "Walkin' in the Rain with the One I Love", by Love Unlimited. Thanks for this great list. Jesse - Thank you for that addition. It's now #119. Have a wonderful day! guest - Thank you for pointing that out. I've replaced it with another song. Rain on the Roof - Lovin' Spoonful is on the list twice. Paula - I added your suggestion. Have a great week! Chung - Thank you for these suggestions. I have added them. I appreciate you! Happy New Year! Ryan - I'm sure you have your fair share of it these days. Hope you are safe and well, given the recent hurricane in your area. Thanks for stopping by. Have a good week. Paula - Thank you for your kind comment. I really love the gentle rain and being able to sleep for a few extra hours while it rains outside. I appreciate how much you like the series. 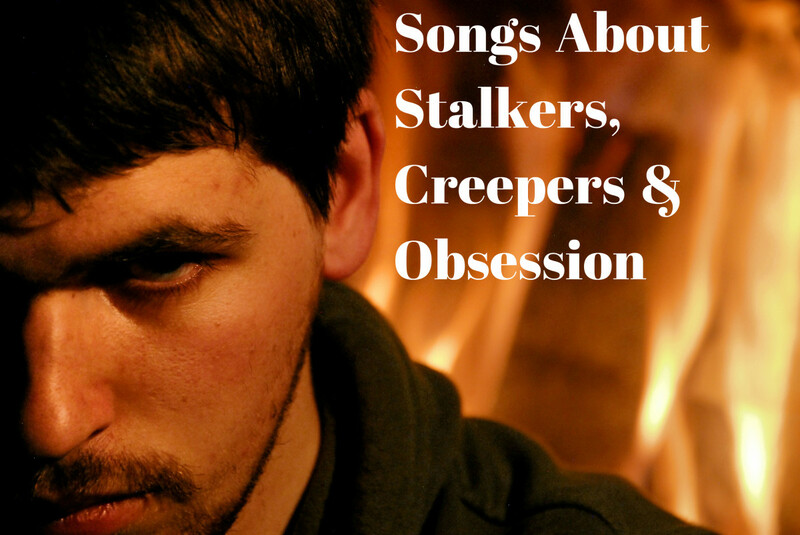 I enjoy pulling together the songs on a specific topic and am often surprised there are so many. Have a wonderful week! It just happens to be raining at this moment (and has been for the better part of the day & night.) There's much about the rain that brings me comfort & solace. I'm not even bothered by being caught in the rain, for a while, anyway. When inside, I enjoy peering out the window, watching as the environment has a rejuvenating shower. When the rain finally stops, all is moist & bright and the air smells so clean. Amazing songs have been written and performed about the rain....and soooo many! Going over the list, I couldn't find a single song that I don't like! https://hubpages.com/playlists/Pop-Rock-and-Countr... Thank you so much for your contributions! jezpurr - Thank you for the suggestions. I have added some of them! Suhail - Thanks for the song suggestion. I added it at #99. I could not resist relocating this article and leaving a comment after reading it again. I was listening to some of the best songs of hard rock music band 'Whitesnake' and just remembered the best rain song that I liked from their album in the 1980s - Crying in the Rain. The wailing of David Coverdale (formerly of Deep Purple) of his blues based hard rock band had made this song very popular in the good old days and when I play it even today, it send me into an emotional state of mind. MD - Thanks for your suggestions! I have added Ray Charles' song at #98, while The Cascades is on there at #19. Listen to the Rhythm of the Falling Rain, by The Cascades. Larry - No problem. Got it. Larry Stout - Thank you for these suggestions. I have added them (except for the CCR song which is reflected already with Rod Stewart recording of it.) I appreciate you. teaches12345 - Some of these are very relaxing. Thank you for visiting! Have a good weekend! I only wish it were raining to complete the peacefulness of these songs. I see a few I will keep to play next time it rains here. Bill - Glad you stopped by. It's astonishing how many there are on this one topic! Stay dry as hurricane weather rolls towards the US and have a good week. Hi Flourish. I can't believe how many hits there are about rain. And this list includes some classics. Guess I just never made the connection? For me I love a rainy day every now and then. Great job as always. Heidi - I love the song by Garbage too! Enjoy your week and thank you for stopping by! Linda - I wouldn't let this list go without that one. It's #41! The times that I've visited Washington and Oregon it was always raining, but I loved it. Overcast and about to rain is my favorite weather! I'm jealous of where you live! Flourish - Wow, this should be the background music for my life. I live in western Washington, aka "The Evergreen State." Guess why? I'm like Billybuc--I'm going to let my age show (but even worse than he). What about "Singin' in the Rain" (from the movie of the same name, Gene Kelly)? I love rain! So my fave from the list is the one by Garbage, but lots of others, too (Manilow, Creed, Eddie Rabbit-- you got 'em all!). If it's raining by you, enjoy! Linda - The only thing that bugs me about it is that it makes my hair frizz, but then so does a hot steamy summer day. 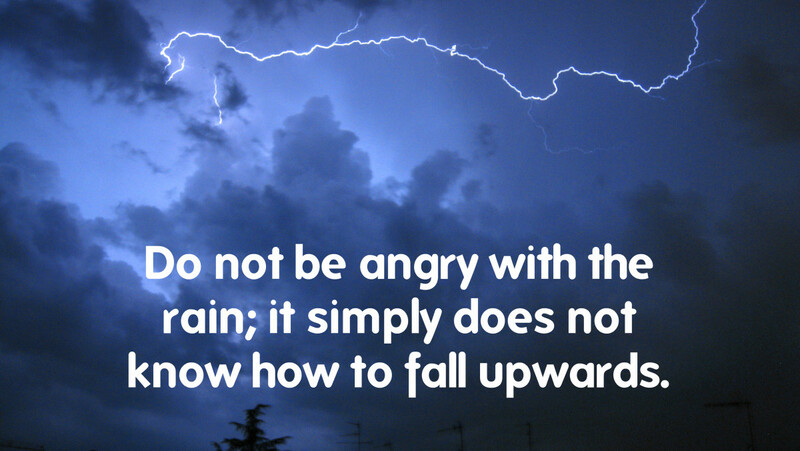 Stay dry and have a good week! Thanks for sharing the interesting facts about rain and rain-themed music, Flourish. I don't mind a gentle rain and sometimes even enjoy it, but I hate downpours. Unfortunately, the rainy season is close at hand! MsDora - We're getting a lot of rain these past few days. Hope you aren't getting too much. Have a lovely week ahead, rain or shine. Sunshine625 - Rain can make you appreciate the sunshine even more! Have a great week! I can't say it too often: I love rain and many of the sentiments expressed in these lyrics are my thoughts exactly. As usual, I have to listen to a few. Thanks for another great list of songs. I love rainy days and songs about rain. 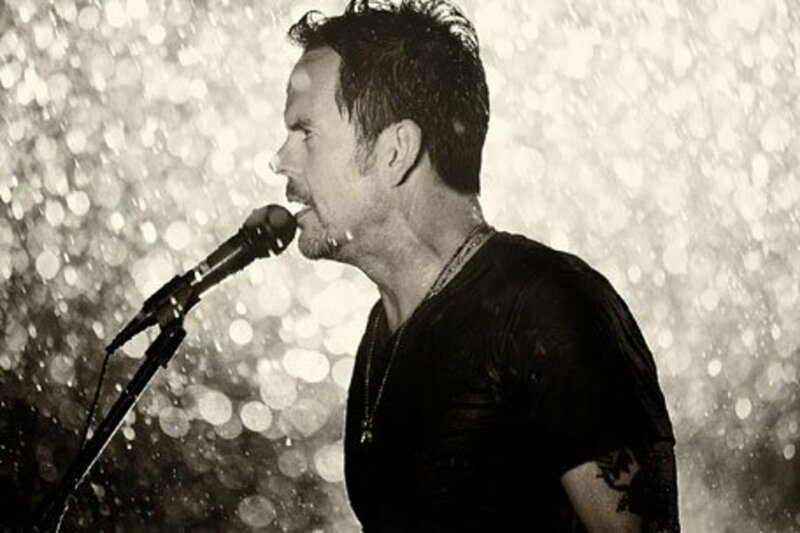 I am glad to see Gary Allan made your list! shanmarie - Thanks for the great addition. I added it at #76.
shanmarie - Thank you for the kind compliment. I enjoy country music, too, going way back! Larry - Me too. Thanks for reading. Have a great week. I actually enjoy a nice rain. P.S. 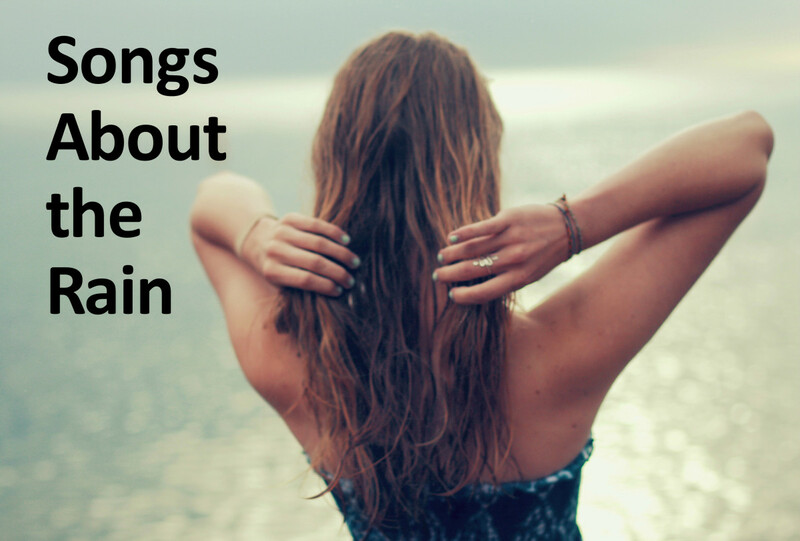 I didn't see David Nail's "Let It Rain" on your list. Love your song choices here, especially the country ones. When I published my recent hub about rain I had many of these songs come to mind. Suhail - I love both those songs and the artists. Glad you enjoyed the trip down memory lane. Have a great week ahead! Nell - How awesome that you collaborated in that way. I looked it up on YouTube. Much enjoyed! As I type this, I am listening to CCR once again. Thanks for taking me down to the memory lane. Hiya, I love all these songs, then had to laugh when checking out the map! Umbrella mountain, wow! Tom Cornett on here actually wrote a song for me on Youtube called Rain! all because I came out with the words, rain got in my mind! so he wrote the song! you can see it if you just put in rain by tom cornett! great hub and singalongs! Bill - Aww, buddy, you're only as old as you feel. You didn't even think of Purple Rain? Hey, I did put The Carpenters, CCR and The Cascades on there. Kyriaki - Thanks so much for your kind encouragement. It's been raining all week where I live so it's an appropriate hub. Have a great weekend! 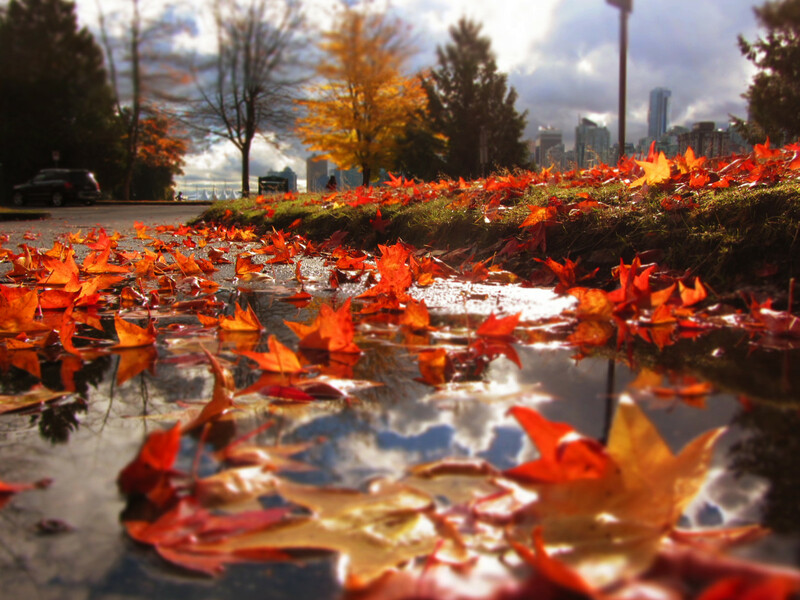 1st October today and autumn (aka rain season) is here to stay. Perfect timing! Loved reading it!